Another GregTech Update has been released! The Button Panel is back! And that in Cover form! Also the Thermoelectric Cooler can now be used to cool down Molds, Basins and Crucibles. And a Cap Nozzle which works like the tiny Funnel but for Gasses. [CHANGED] Internal GUI Code of the Advanced Crafting Table, needs some testing. [ADDED] Cap Nozzle, which is the counterpart to the tiny Funnel, just for Gasses. 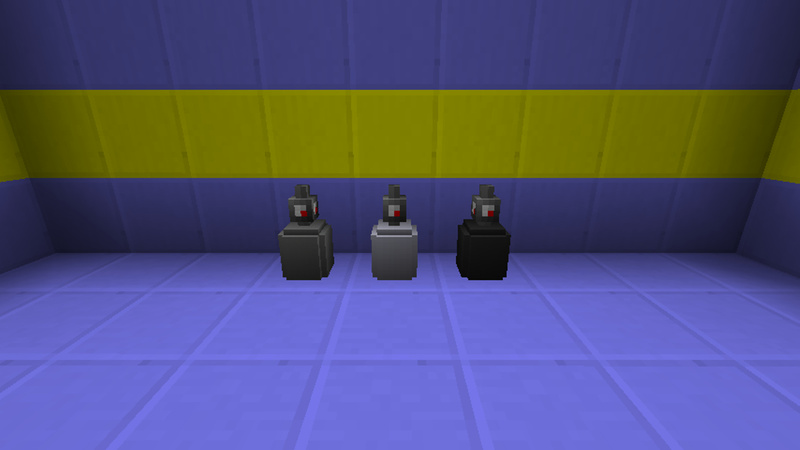 [ADDED] Molds and Crucibles now accept Cryo-Units (CU) to cool down faster. Why you would do that on a Crucible, I dont know, but for Molds and Basins this is great. [ADDED] Gas Cylinders to GT6 Dungeons containing Propane or Helium. Button Panel back as a Cover. It is a Selector Cover like the other Manual Selector, just more convenient. 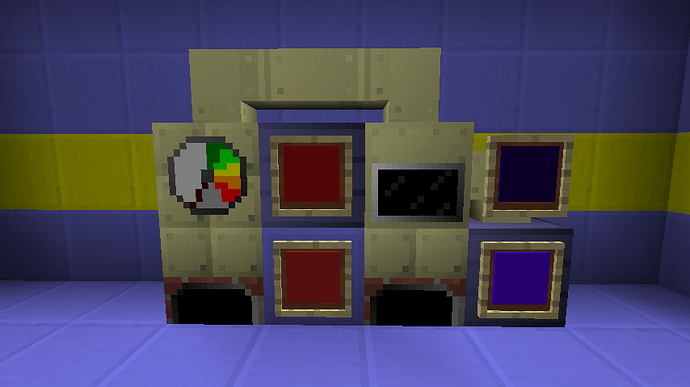 There is multiple Designs: For example unmarked Buttons, Numeric Buttons, Hexadecimal Buttons, Bit Buttons, and a Keypad looking Set of Buttons (Numbers don’t correlate to the Redstone Signal except for the 0 - 15 one!). If there is a Controller Cover that can turn off other Covers, then it can prevent the Buttons from being pressed on demand. This also applies to the Manual Selector Cover. The Panel will always have the Button appear Perma-Pressed that is corresponding to the Mode the attached Object is in. If a second Mode Selector is attached to the same Block it can set which Button appears to be pressed. The Button Panel itself can also be screwdrivered so that it automatically resets the Button to 0 after about 10 ticks, as if you pressed and released the Button like a normal person. And as always, the Patreon Post should follow up later today or somewhen tomorrow. Here we go, dont think I need to repeat my announcement post about politics again over here. Sorry for the lack of Release last week, have some Crack(ing)! There is btw a small Block of Text in my Game Plans about how I imagine Worldgen for the Game. It’s the “The World” Paragraph. [FIXED] Treated Planks Recipe in Bath consuming 0 Creosote, and some other Bugs with that same Recipe. 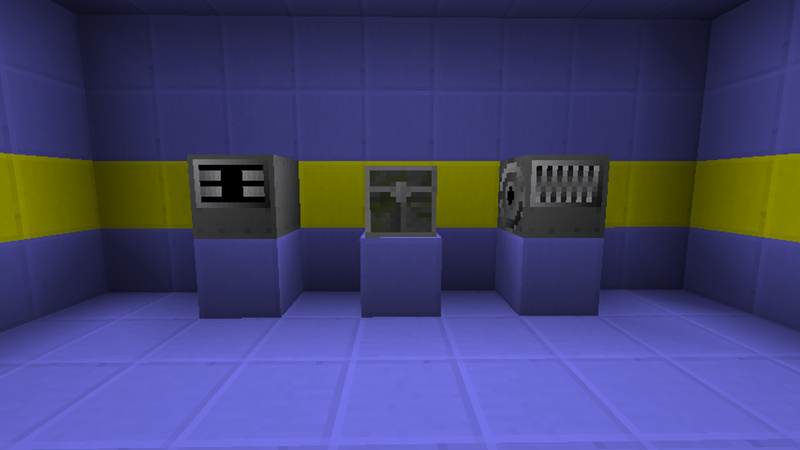 [CHANGED] The Filter Blocks can now be Inverted with the Screwdriver. [CHANGED] The Recipe for CFoam + Scaffold = IC2 Reinforced Stone is now in the Dryer instead of the Bath. [CHANGED] Quandrupled the Fuel Value of Natural Gas and Methane. Note, that I divided the amount of Methane from Biomass in a Fermenter by 4 aswell, same for the Generification of Methane into IC2 Biogas and back. [ADDED] Steam Cracking of Propane and Butane into other Materials. Soon going to be needed for making Plastic. Butane is better for Plastics than Propane by the way. [ADDED] CFoam Fluid can now be made into Blocks by first foaming it with Air in the Injector and then Drying it in the Dryer. The old Crates that do have 16 will continue to exist in a slightly renamed way and be somewhat available as Loot in certain places, like they did before. I added the 64-Crates instead of changing the 16-Crates, because there is an obvious exploitative Loophole people could cheat with (even if just by accident), and because I didn’t want to make certain Loot even more ridiculous. The Wooden Crates themselves stay as is, this is just a buff to make them more significant. There is Hydrocracking now too, and new Plastic Processing, just nothing I could point a Screenshot at, so its still the old Screenshot. Thank Speiger for me not spending Wednesday with Modding like I wanted, by reminding me of the existence of every damn Twitter Post about Article 11, 12 and 13. That said, apparently Article 12 is just terrible as well, though it’s more related to Publishers stealing even more money and rights from their Artists, and less related to the Internet itself. [FIXED] a Generifier Recipe Mess Up regarding generifying IC2 Biogas into Methane and back. Rotational Pump doesn’t check for Fluids that often anymore if it is connected to a huge body of Fluid. Also resets the internal Block List whenever it is Rotated with a Wrench. And it doesn’t iterate over all Blocks within the same Tick, instead it does one iteration step per tick. It also does one Y-Level at a time, reducing Lag from scanning too huge amounts of Fluid at once, which for some reason lagged exponentially before. I did test it at the bottom of a Deep Ocean and it worked fine there, so I am pretty sure this Fix worked. [CHANGED] Quad Compartment Drawers now have a different Mode for Automation accessing them, if you use a Monkeywrench. The Left two Drawers are for example only available on the Left, the Top two Drawers only from Top, etc. Front and Back both have all 4 Drawers accessible. This makes it a bit easier to space Machines closer to each other. [ADDED] Catalytic Cracking for Petrol and Fuel. [ADDED] Distillation Tower Recipe for Biomass. The Distillery itself is better for pure Ethanol Output, while the Distillaton Tower is better for allround Output. [ADDED] Recipes to turn Ethylene and Propylene into Plastic. I will not split up Polyethylene and Polypropylene into two different Materials, that just doesn’t make any Gameplay sense with as little use as Plastic has. Added Gas Turbine, fueled by Gaseous Substances such as Methane for example, looks pretty much identical to the Steam Turbine, unsure how I could design it differently in a meaningful way (without it being different just for the sake of being different). Also Warning Sign Covers! [FIXED] Wooden Plank OreDict Issue when IC2-Exp is installed and removing “plankWood” Entries fro mthe OreDict for Blocks that have been registered using the Wildcard, such as Vanilla Wooden Planks. [FIXED] Front Texture of the Multiblock Turbines. Now it’s a full 3x3 Texture. But only when the Multiblock is fully formed. 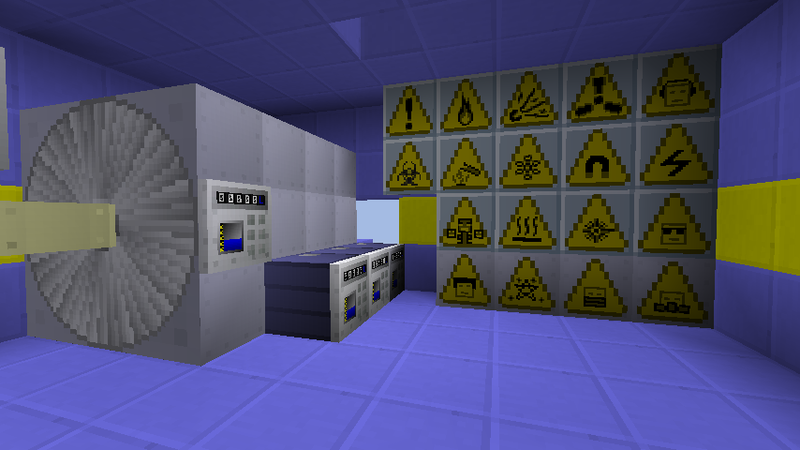 [ADDED] Warning Sign Cover with currently 19 different possible Designs containing things to warn about. It turns Gaseous Fuels into Rotational Energy with 66.66% Efficiency, so it works just as well as a Boiler and a Steam Turbine, but only for specific Gasses ofcourse. But in addition to that, the Fuel is usually slightly more potent when used in a Gas Turbine, than when used in a Burning Box, so it works better overall while being cheaper too. The Structure of the Multiblock is identical to the Steam Turbine, in fact you can upgrade the Steam Turbine Controller to be a Gas Turbine Controller with a few additional Items. 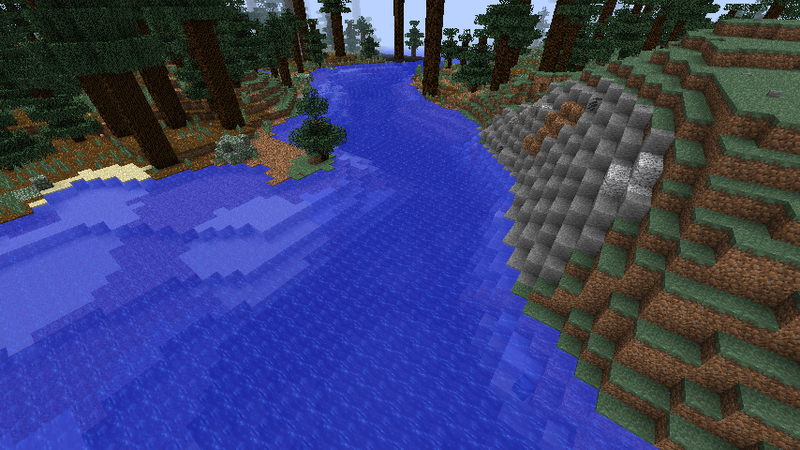 Rivers now have dedicated Riverwater Blocks in order to prevent Biome Changes and Swamps from killing actual Rivers. Other than that there is no real change to the Water itself. Turns out, Article 13 was designed to intentionally kill off Youtube and Facebook. Yet instead of doing that, it kills every Platform EXCEPT Youtube and Facebook, making them more powerful. And they are fully aware about killing Freedom of Expression aswell. I’m not much into USA Stuff, but I heard the Senate over there starts to do something Article 13 alike too, so watch out for Trump trying to do that, because I don’t care enough about that Continent to follow its News, I already have enough Drama as is in Europe. 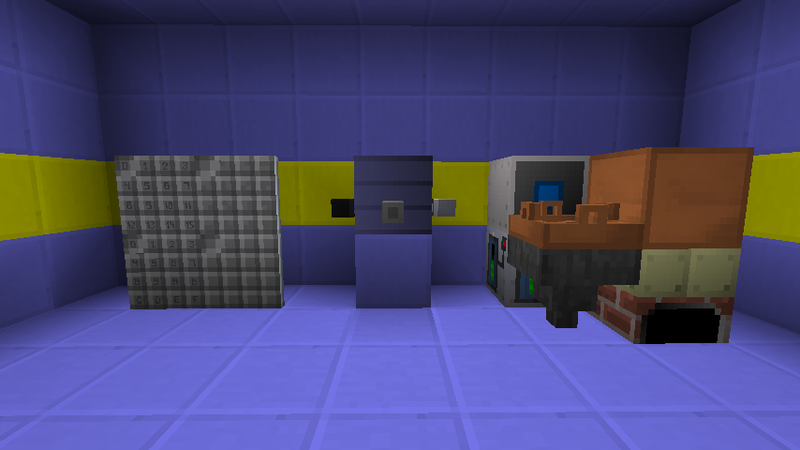 [FIXED] Gas Turbine will now empty its Input Tank when there is less Fuel than needed for a full Recipe. This makes switching Fuels easier. [CHANGED] Most Gas Fuels now give regular Water instead of distilled Water. Dedicated River Blocks for Worldgen. This should fix some Issues, and also make Rivers slightly less dependant on the Biomes, like when Thaumcraft changes the Biome around them. Riverwater Blocks will not contaminate adjacent Water, and can also not be contaminated by Swampwater. They will create infinite Water Sources similar to Vanilla Water. Not that it would be needed, since all GT6 Methods of pulling Water will work without removing the Blocks. Vanilla Buckets wont work because its near impossible to hack them in order to let them do their Job right. But GT6 Wood Buckets, Jugs, Measuring Pots and similar, aswell as Vanilla Glass Bottles, will be able to work just fine. And update Post, even if short. Electric Heaters, Motors, Magnets, Lasers and Coolers now have an adjustable Conversion Rate. [FIXED] Fluid Pipes were skipping the very first tick, resulting in Boilers slowly accumulating one tick worth of Steam over time, whenever the Chunk was loaded. [FIXED] Red Alloy Wiring and similar were not able to connect to Covers that are on Pipes or Electric Wires. [FIXED] The Pump Cover was not able to grab multiple different Fluids at the same tick, making the Quad-Pipe + Pump Combination unsuitable for the Gas Turbine. But now that should work. [CHANGED] Tungsten Trioxide (WO3) now has an Ingot form so it is easier to get it out of the Crucible. [ADDED] When you harvest Blocks using a Chisel they will be chiseled. This mainly only works for vanilla Stone, Stone Bricks and all GT6 Stones. 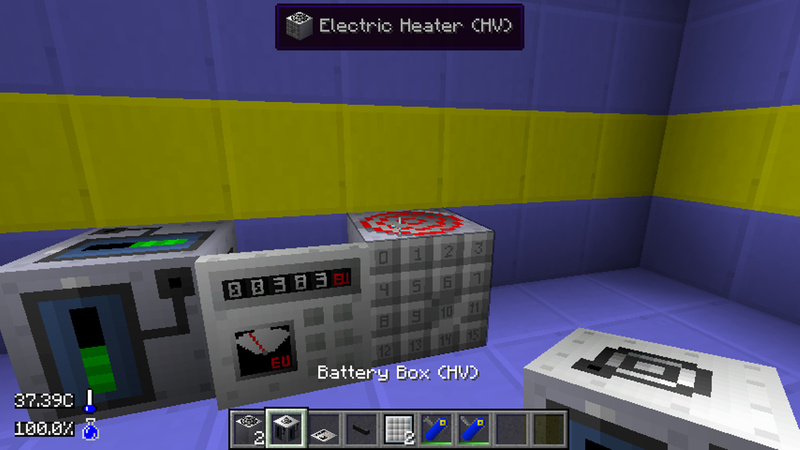 [ADDED] Recipes for the RF Powered Variants of Electric Energy Covnerters. Now it’s no longer needed to MineTweaker them in. People can decide for themselves how balanced that is. Singleblock “EU->Other” and “RF->Other” Converters can now be adjusted with a Mode Selector Cover and similar. This includes Heaters, Magnets, Coolers, Motors and Lasers. Mode = 0 means Maximum, Mode = 1 means 15/16, 2 = 14/16, 8 = 1/2, 12 = 1/4, Modes above 12 may not be operable as they end up going below the Minimum Output of the Converter itself. Should you not supply enough Power to reach the Cap that the Mode has set, the Mode wont do anything, so this only makes sense if you have too much Power going in and want to limit it. The Copyright Directive just passed in its ENTIRETY. The Internet is going to be dead in 2 years, if it isn’t stopped last minute by Germany, France or Britain on April 9th. And Britain wants to vote for it to then just blatantly blame it on Europe, like they already did in the Parliament. If you are in Europe and want to keep a Free Internet, go vote in May for some Left/Socialist or Green Party, simply some Party that respects Human Rights. The Nazis and Conservatives on the Right are only going to destroy even more! P.S. I’m already looking up alternatives for the Public Internet, like Freenet. Simply something that inherently cannot be censored, and is difficult to block unless P2P is blocked as a whole. Also thought about Tor but I’m not sure how safe that might be. [FIXED] Power Conversion Rates for the Flux Dynamo now match the Electric Dynamo. [FIXED] Anvils were not showing if there was an Item on them, if the Item did not have any valid ItemData. [CHANGED] Prospecting no longer detects small Ores and now has a bigger Sample Density. 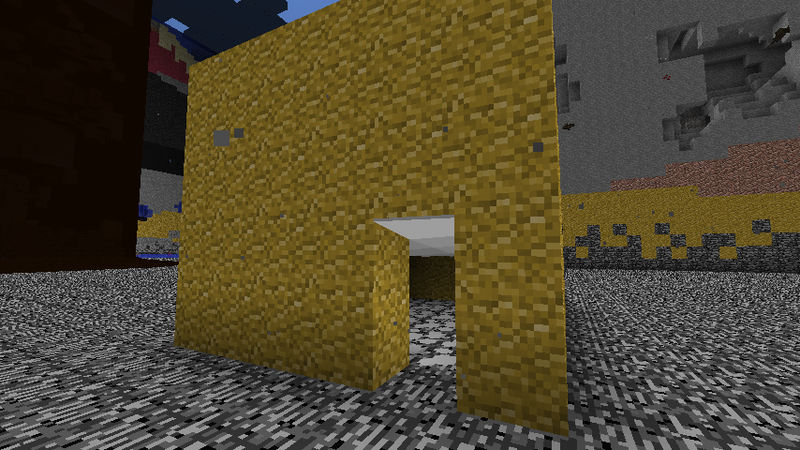 Ores of normal Size are still found. [ADDED] Antimony, Ultimet and Manganese Versions of Mass Storages, Hoppers etc. [ADDED] The Filter Blocks now accept Shiftclicks. Patreon Post as almost always. [ADDED] Voidmetal Drum, since it was missing. Natural Gas now generates in the World. This Picture was taken using Chunk clearing, so only the Bedrock Stuff was still there afterwards. Also please ignore the annoying IHL Oil on the left. [NOTE] The Default Config Pack updated to disable IHLs annoying Worldgen. [ADDED] Natural Gas Pockets to Worldgen, similar to the Oil ones. Also increased yield of newly generated Bedrock Oil Springs. And no, Torches wont make Natural Gas explode, while it would be realistic, it would also be impossible to go mining if I did that. And the Patreon Post for this Release of Gas. [FIXED] Vertical Flow Crash caused by colliding two different Forge Finite Fluid Blocks. Now at least my own Forge based finite Fluids wont crash from this dumb Bug anymore. Improved the Crusher and Shredder Code to make the Configs work better, and also added Configs for individual GT6 Loot Items (Worldgen Config). Next week should definitely be better. [IMPROVED] The Crusher now uses the Recipe Handler System instead of being hardcoded for Ore Crushing. May need some testing if everything works still. Also it now uses 2 Slots for outputting the same Crushed Ore, so “cheaty” Ore Multipliers in the Config work twice as good! 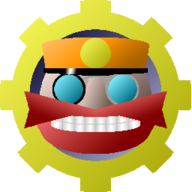 [IMPROVED] The Shredder now also uses the Recipe Handler System for most Recipes, specifically the ones related to OreDict Prefixes, also needs some testing. [ADDED] Configs to enable/disable GT6 Dungeon Loot, to the Worldgen Config File. Update Post as always. Next week will definitely have a new Multiblock of some sort! I seriously need to make up for the lack of work last couple of weeks!